What is the Divorce Process in Lake County Illinois? 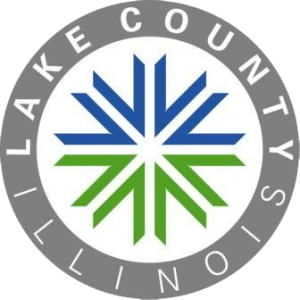 Lake County, located in northeastern Illinois, with Lake Michigan to the east, Wisconsin to the north and the City of Chicago to the south is one of the fastest-growing counties in Illinois and in the nation. The county seat is Waukegan where the Lake County Courthouse is located. The divorce process in Lake County IL can be long, complicated and unpleasant. With guidance from a skilled and experienced Lake County IL divorce lawyer, you can ensure court actions are filed accurately and that the process is completed as efficiently and cost-effectively as possible. Consulting a divorce lawyer is often the first and most difficult step for an unhappy spouse to take. It usually demonstrates clear and convincing evidence of an unhappy marriage. The divorce process in Lake County is legally initiated through the filing of a complaint. Some clients report a feeling of relief or comfort after retaining a qualified Lake County IL divorce lawyer, stating that it assures them that they are in control of their future and won’t have to remain in an unhealthy marriage any longer. Getting divorced is a major life event and is frequently mentioned among the most stressful experiences a person encounters in their life. At such a stressful time, it is important that your legal interests are represented by a caring and skillful attorney who is both an experienced negotiator and a talented litigator in Family Law matters. If you’re considering divorce in Lake County, be sure to seek the representation of a top Lake County IL divorce lawyer. There’s no way to avoid the stressful feelings and heart felt emotions that accompany a divorce, but being represented by an divorce attorney specifically recognized for their experience and reputation in Lake County IL can provide you with the peace of mind that your best interests will be represented by a competent professional.